What a fun thing to do. Those dolls are looking wonderful. I really like the orange doll. I'm not a doll person usually but these are very appealing - I specially like the last one. These are great! I especially like the button buttocks. I have the pattern printed out but haven't had a chance to get started on mine. Love the spirit of those spirit dolls! 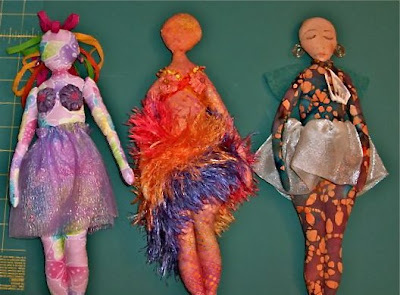 Love these spirit dolls, so bright and whimsical! 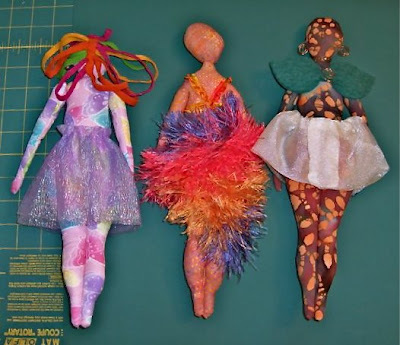 What agreat group project-the dolls look fab! I am laughing and laughing. What fun! This is such a great pattern and the construction instructions you linked to are very helpful too. What a wonderful project - these are looking great!